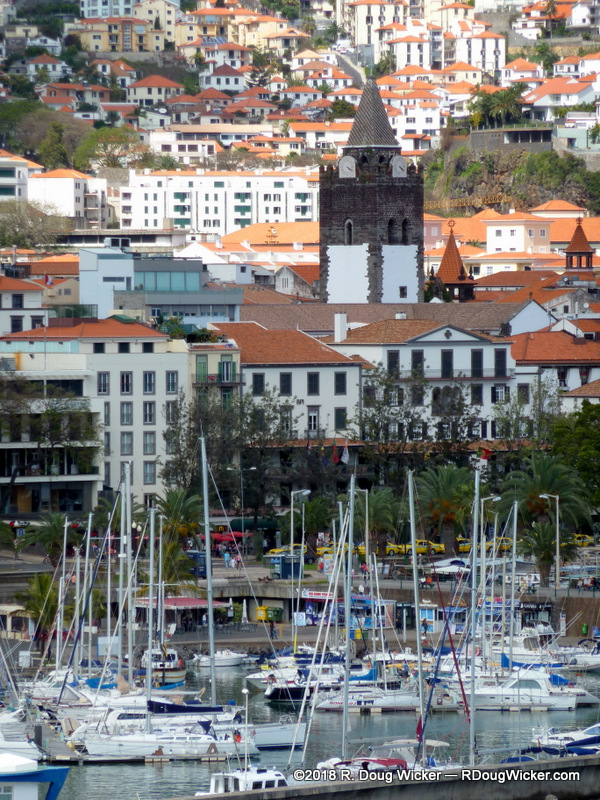 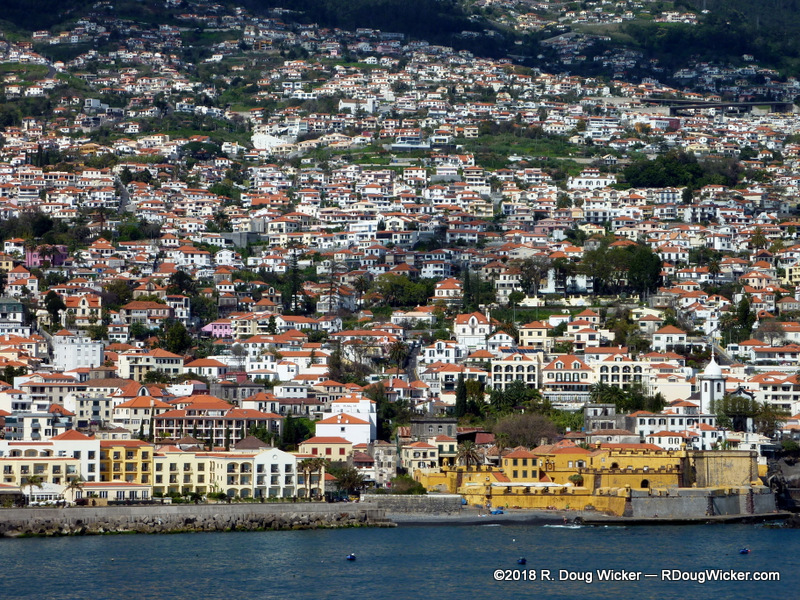 Closer to port is Marina Funchal, and directly behind this small craft marina towers the Cathedral of Funchal. 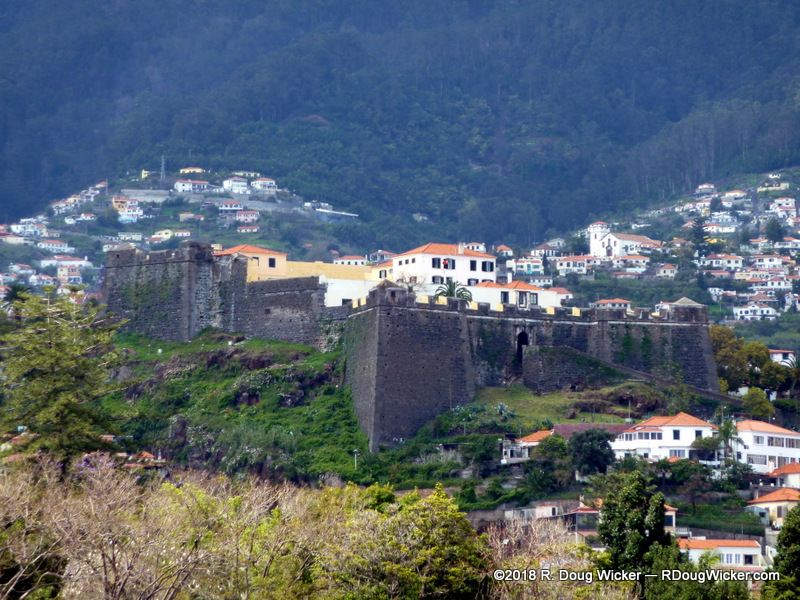 High above the port is the Fort of São João Baptista do Pico dating back to the early 17th Century. 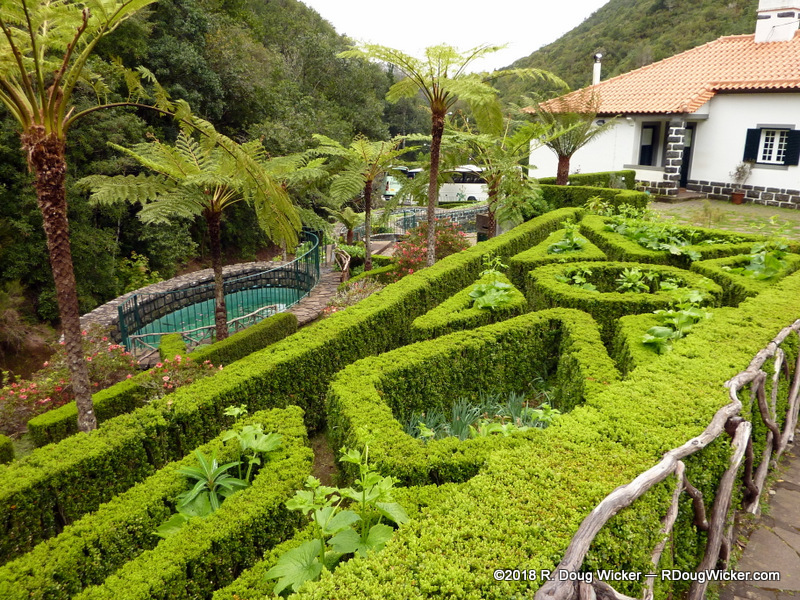 On Monday I touched upon the Madeira Botanical Garden, showing images of a traditional Madeira house on the grounds there. 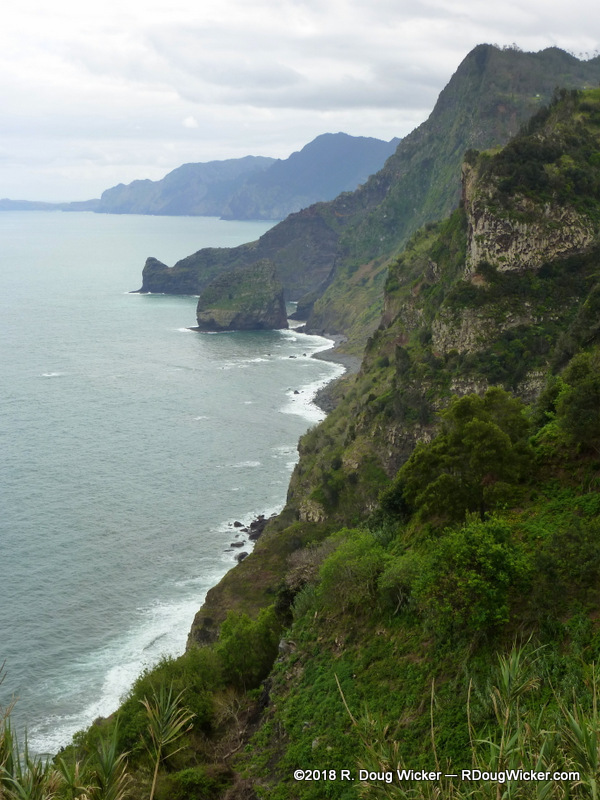 Below is some of the garden vegetation, although the garden wasn’t in full bloom during our early April visit. 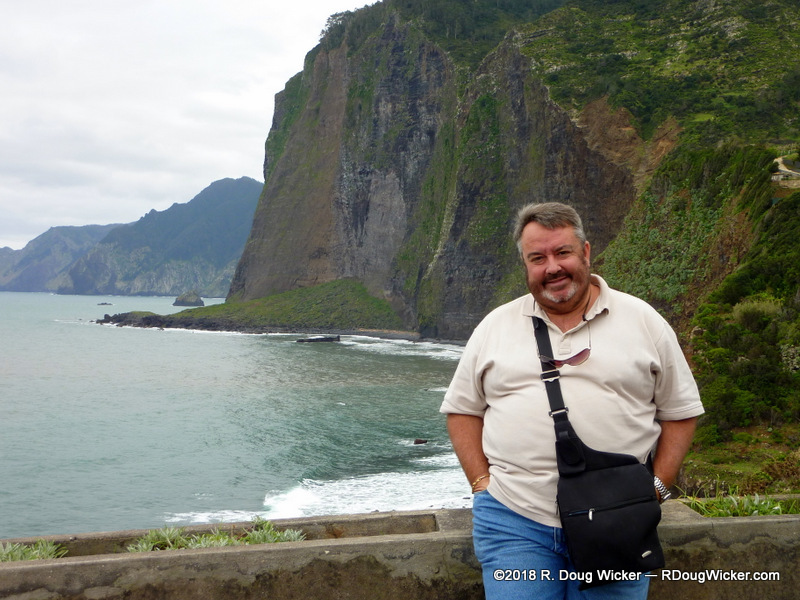 Below are a couple more images of the Madeira cliffs I presented on Monday, including one shot of me taken by Ursula. 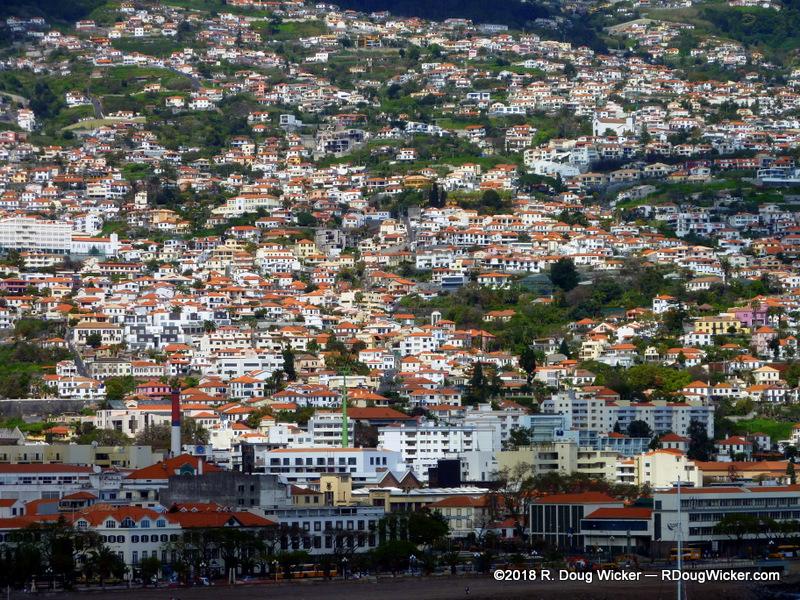 One great thing about Madeira are the many quaint churches around the island. 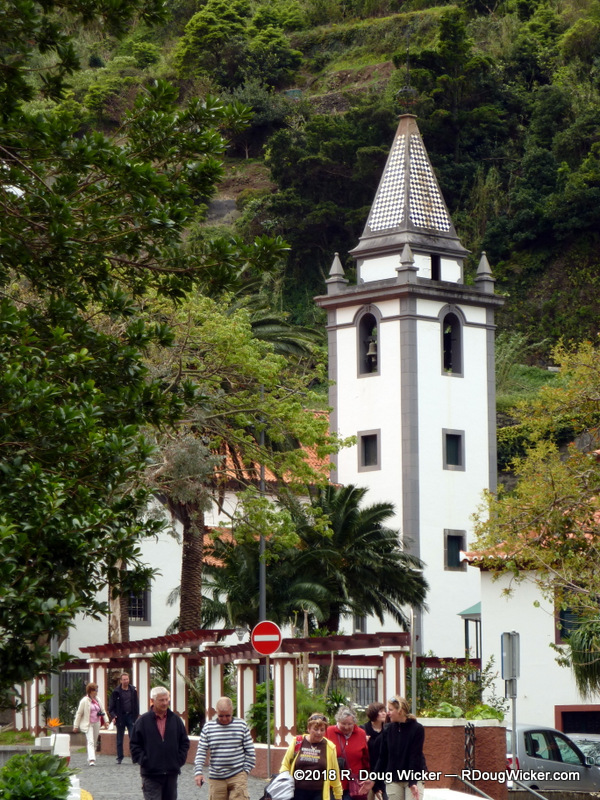 The image below is Igreja Matriz de São Vicente, the Church of Saint Vincent.